Honestly, I never expect people will put that many effort on design teabag. For me, teabag is just a container hold tea leaf, food-grade, durable and easy penetration maybe the most important things for it. But I am apparently wrong once, twice and now third time. In 2009, I first talked about some creative teabag designs (see here) then in 2016, I wrote about some new designs again (see here). And Today, here is my third round. Although, I am not sure how much better these different, unique teabags are compared with other ordinary teabags. For me some designs look pretty cool,like the goldfish one, while the frog one in today’s article isn’t my type at all. Some one has really great idea, but it is just too costly and really doubt how much people would like to spend extra for such visual effect. According to the manufacturer: the Butterfly Pea Mint Frog Tea Bags turn your beverage into a vibrant blue, derived from natural butterfly pea and brewing up a refreshing concoction of spearmint and peppermint. Even better than the novel color, the tea bags come in unique frog shapes that are bound to surprise and delight guests. 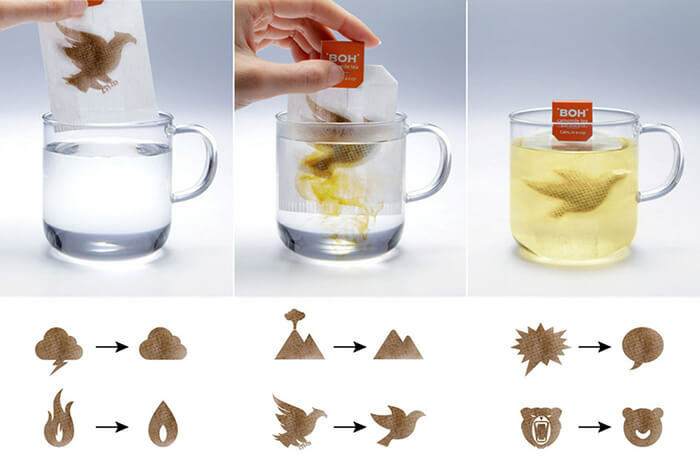 It will look like an amphibian is sitting in your cup of tea. Use a glass cup for the best visual results! Honestly, it is quite scary for me. Not sure how enjoyable about drink a cup of blue tea with a frog floating inside. If tea were a human, it would be a masseuse, yogi, and best friend all in one. It’s so soothing and full of things that make you feel good, we don’t just sip it— we put it on tired, puffy peepers, too. The one flaw? Tea bags don’t stay put. But that was then, and these masks are now. Steep them like you would a regular tea bag, let them cool (ideally in the fridge or freezer, but at least to room temperature), and settle in for some serious pampering. Pop one in your suitcase or briefcase, or wherever you know you’ll want a little “me” time. The set of six includes three blends: black tea and rose, green tea and jasmine and white tea and fennel. Malaysian tea company BOH together with M&C Saatchi Malaysia came up with a smart way to promote their product and the calming effect it has on people who consume it. 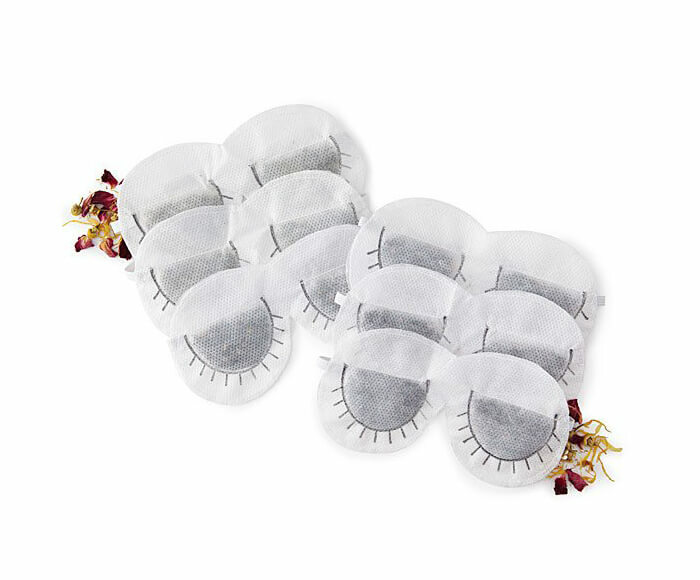 Each tea bag has a different design and features images that are supposed to be stressful (e.g. a bear that looks angry, an erupting volcano or a thundercloud). This actually represents the state of mind of a person who reached for a cup of tea just for that reason. After placing the tea bag in a cup of a boiling water, the ink dissolves and leaves the image that look much calm to the drinker. If it was the image of an angry bear before, after putting it in hot water it changes into a smiley bear. The same is with other bags, for example angry bird transforms into a dove, thundercloud into a regular cloud, etc. 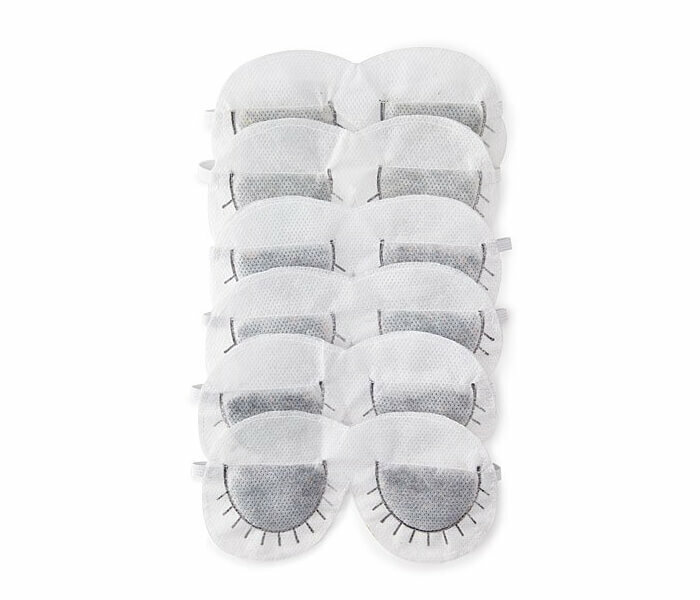 So the tea bags were designed to have a different “before” and “after” state and hopefully bringing a “calm in a cup” to a people who feel stressed at the moment. Next story If Popular Sodas Were People, How They Look Like?